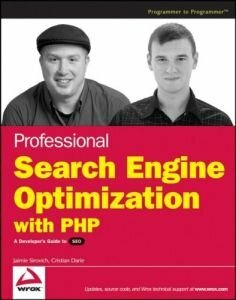 Professional Search Engine Optimization with PHP: A Developer’s Guide to SEO is mainly geared toward web developers, because it discusses search engine optimization in the context of web site programming. You do not need to be a programmer by trade to benefit from this book, but some programming background is important for fully understanding and following the technical exercises. ing implementations of cloaking and geo-targeting.